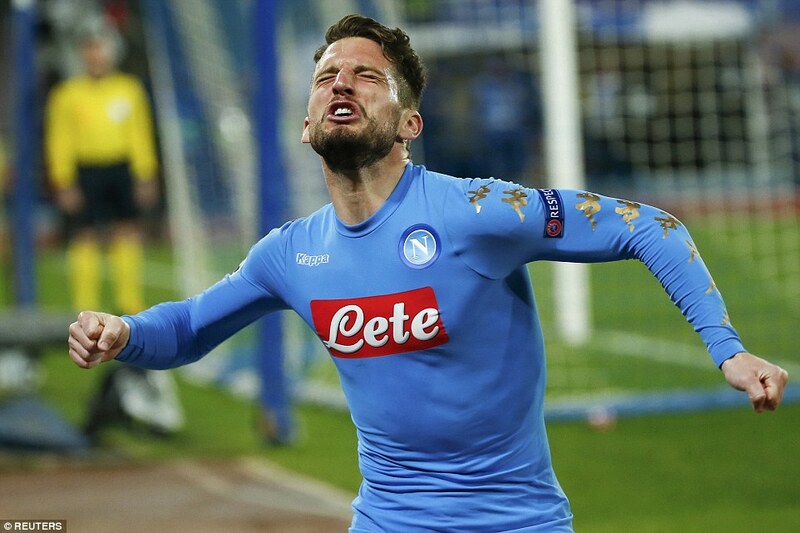 Napoli 1-3 Real Madrid (agg 2-6): Sergio Ramos header and Dries Mertens own goal send reigning champions through after Belgian began the scoring and Cristiano Ronaldo missed open net. 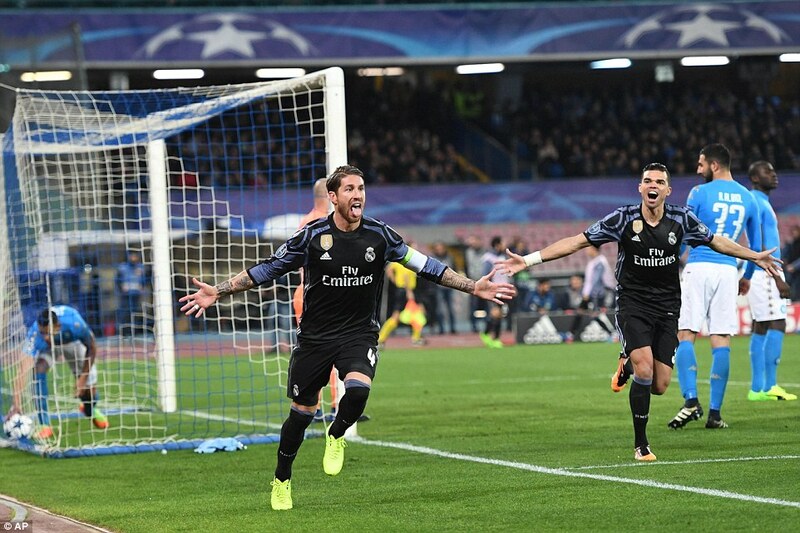 Real Madrid’s captain fantastic Sergio Ramos headed Real Madrid into the Champions League quarter-finals as he played a major part in two goals within six second half minutes. Madrid were given a first-half scare by Napoli who dominated and took the lead through Dries Mertens but the second period was a very different story. Zinedine Zidane’s team had forced only one corner in the first half but they won two at the start of the second 45 minutes and Ramos rose to head home both Toni Kroos kicks, the second via a deflection off Mertens which was given as an own goal by UEFA.